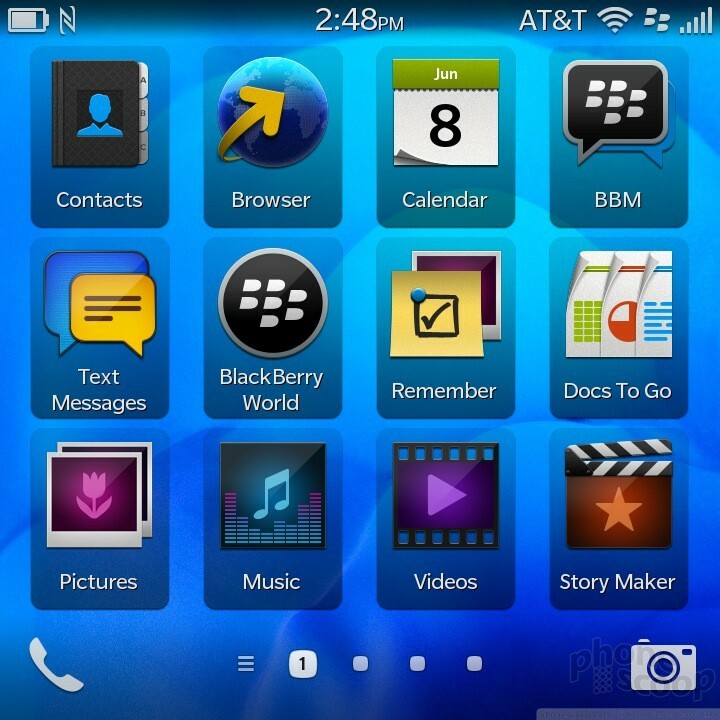 The Q10 runs the new BlackBerry 10 operating system. 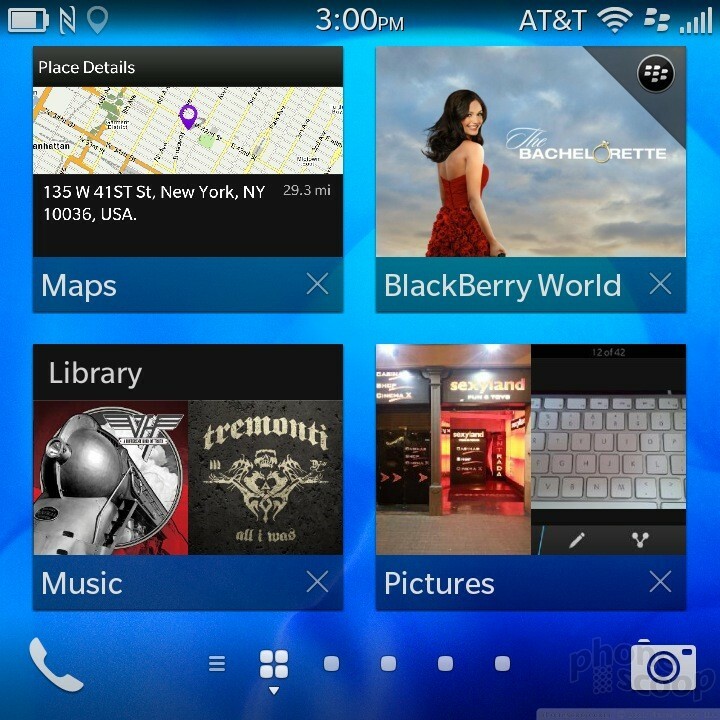 It looks and behaves exactly as BlackBerry 10 does on the Z10. 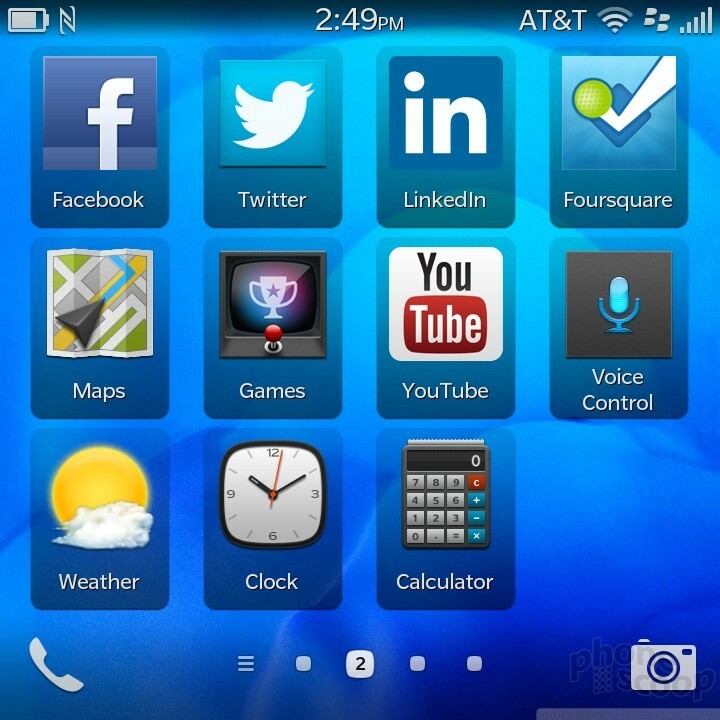 We reviewed BlackBerry 10 in detail several months ago here. 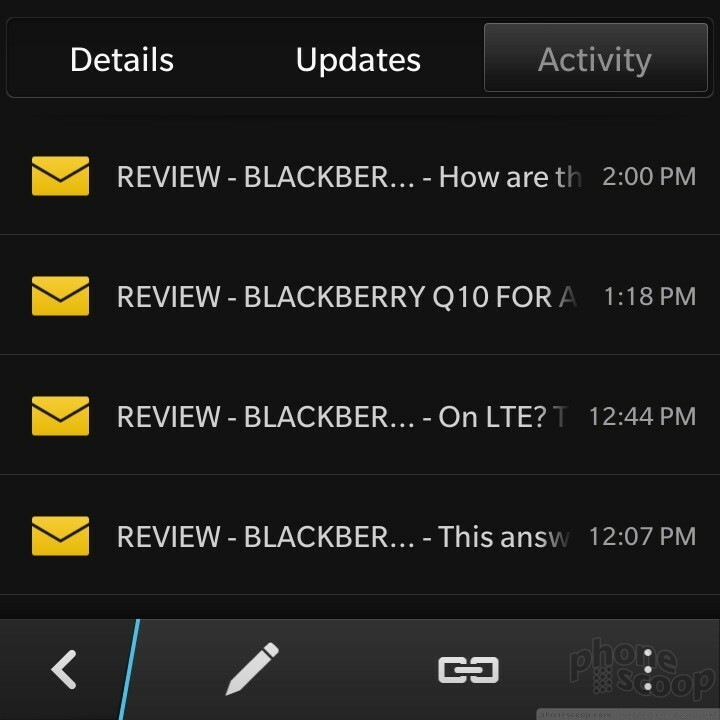 If you really want to know all there is to know about BB10, please read that review. If you're looking for the short version, read on. 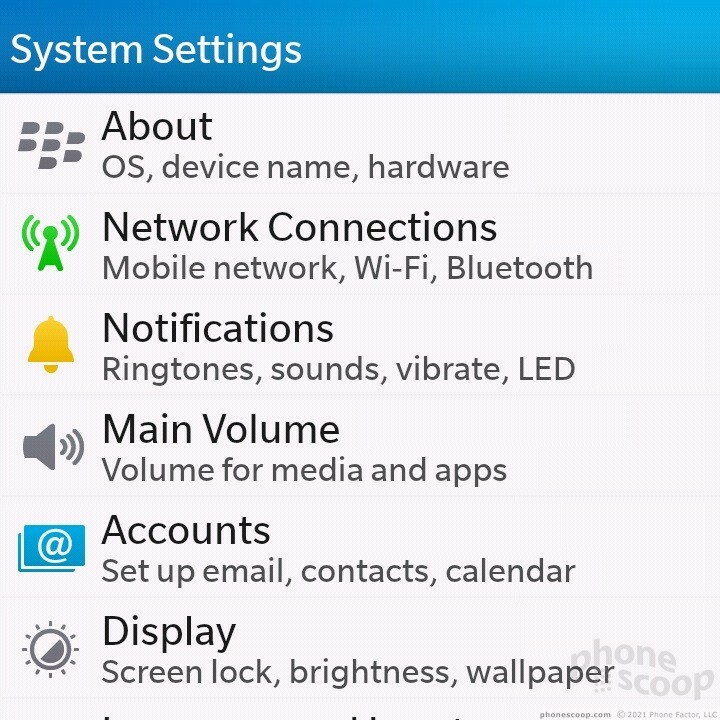 BB10 includes a lock screen that provides messaging notifications, a clock, and a shortcut to the camera, but it cannot be customized. The main "home screen" is used for multitasking. It houses active tiles of the last eight applications opened by the owner; each tile provides a preview of that app and its content. The main app menu is a swipe to the right. Apps are listed in 4 x 3 grids on each page, and can be organized into folders if you wish. 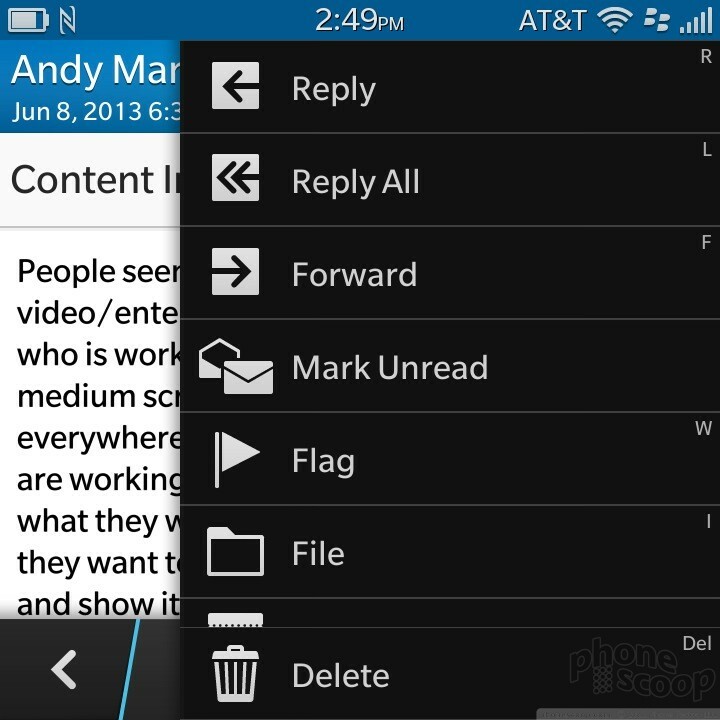 The big element is BlackBerry Flow, which is a series of gestures that are used to move through the UI. The gestures take time to learn and master. 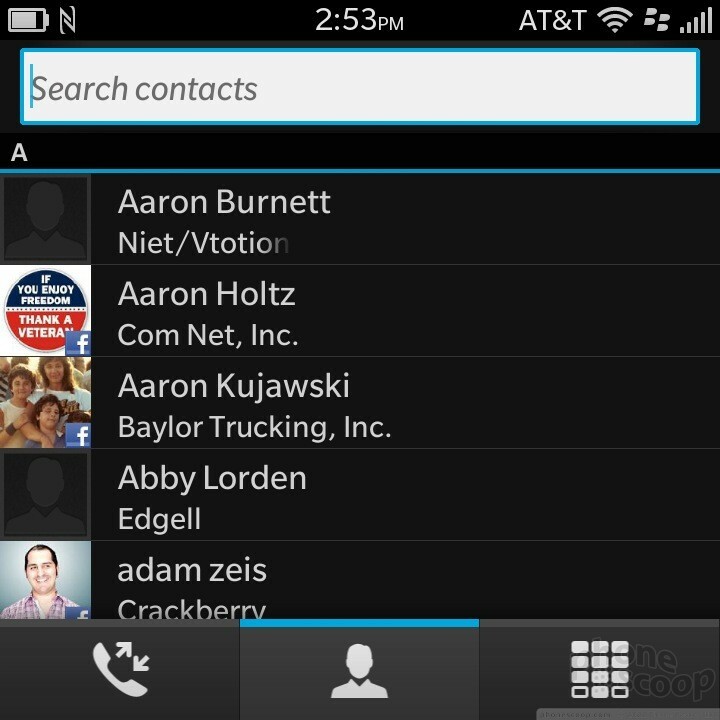 The most significant of which is called BlackBerry Peek, which is used to see a preview of new messages and calls from within any app on the phone. 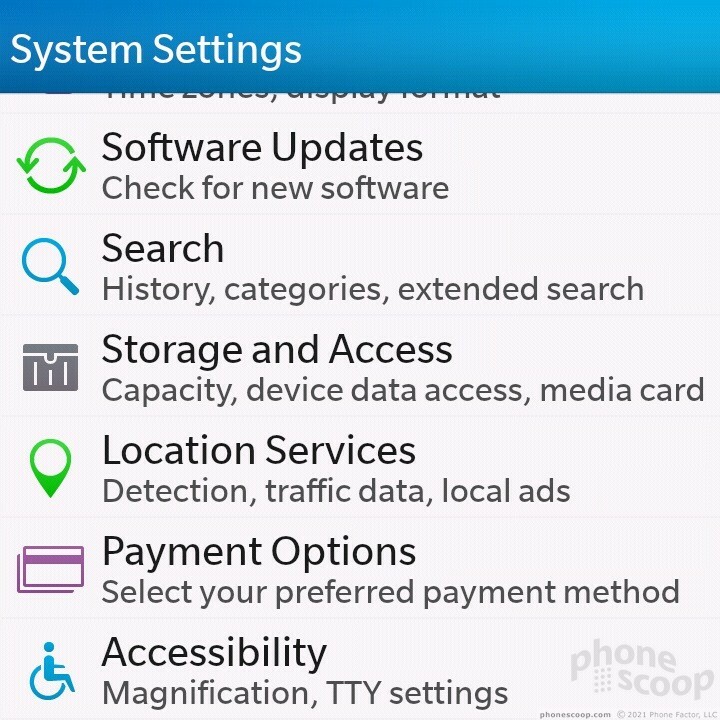 The swiping gestures are a bit more annoying on the Q10 than the Z10. The problem is that some of the gestures need to begin on the thin strip of glass that's between the keyboard and the display. It's only a few millimeters wide. I often missed the little strip of glass and had to perform the action over again to get it to work. Repeating my thumb actions got old quickly. A drop-down shade at the top provides access to controls such as the wireless radios and full settings tools. 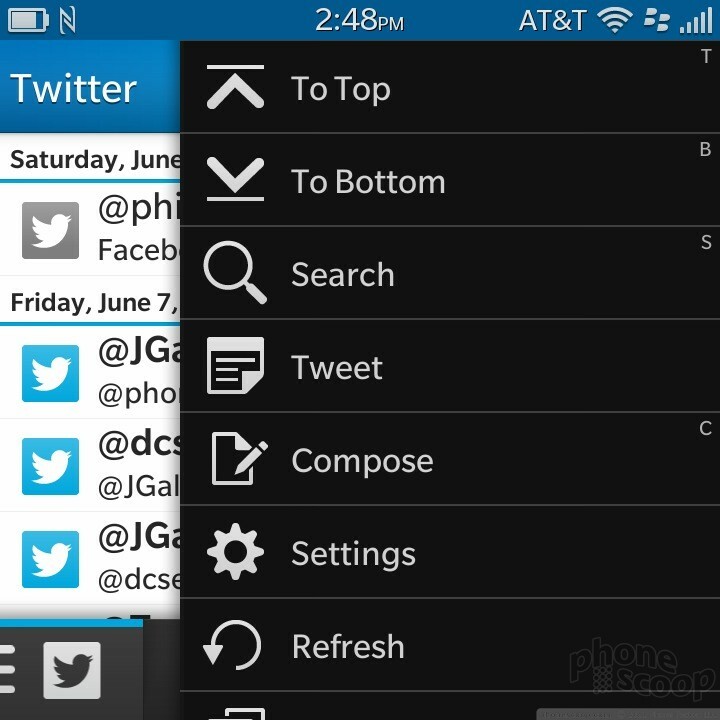 BB10 offers some customization options, but not as much as on Android or even Windows Phone. The wallpaper can be changed, there are multiple ringer profiles, and of course users can select their own ringtones, and so on. Users cannot customize the home screen. 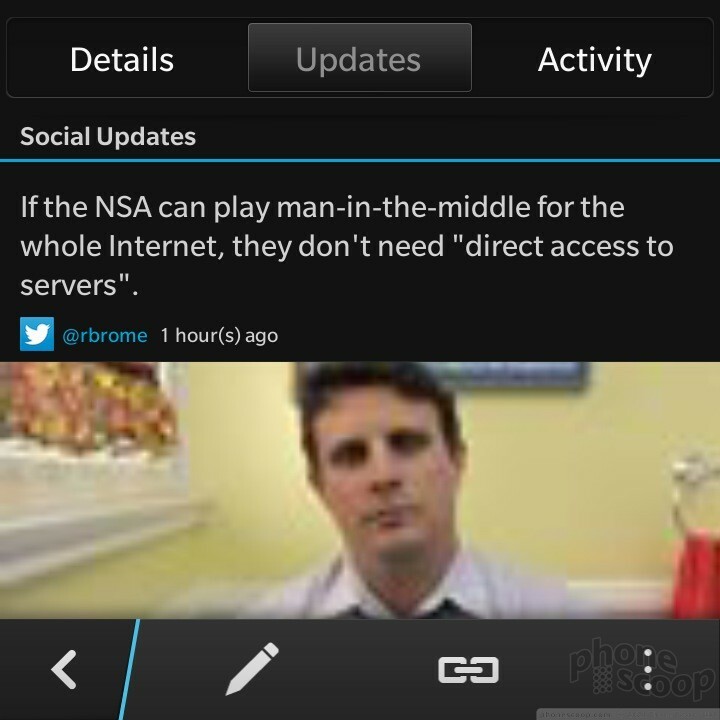 Verizon did not (and, as with iOS and Windows Phone, cannot) do anything to molest the BB10 user interface. In terms of performance, the Q10 is quick and smooth. The UI flows from one screen to the next and I didn't notice any lagging or stuttering. 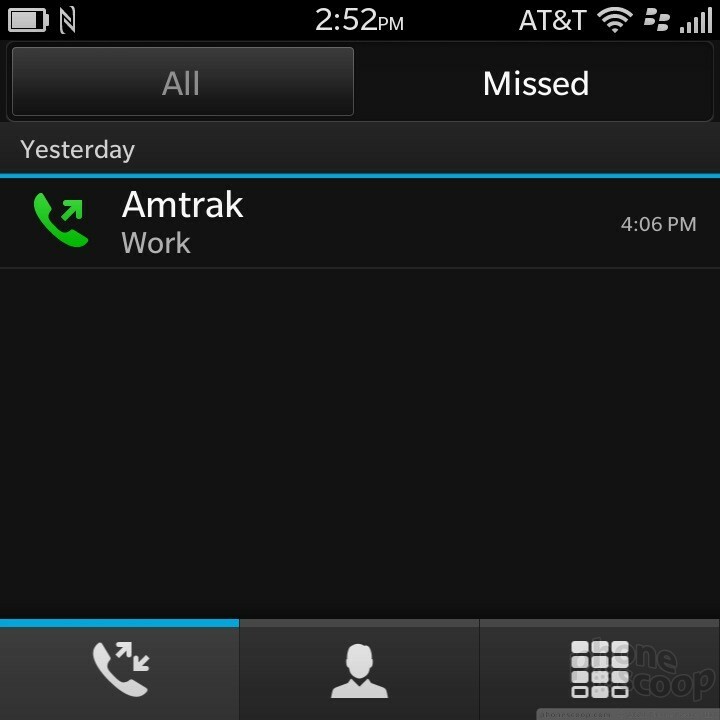 The phone app is not unlike that found on Android devices. 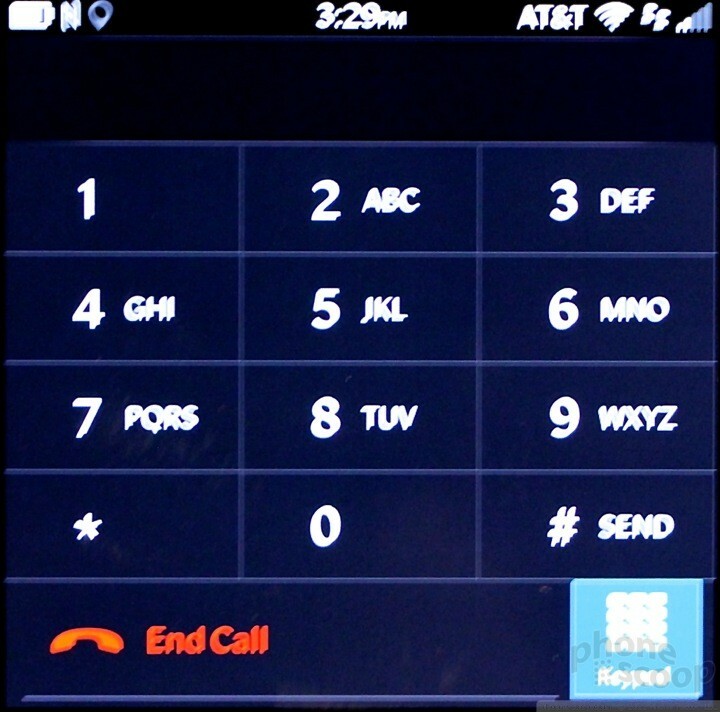 It has a large software dialpad for punching in numbers, as well as quick access to the call log and contact database. 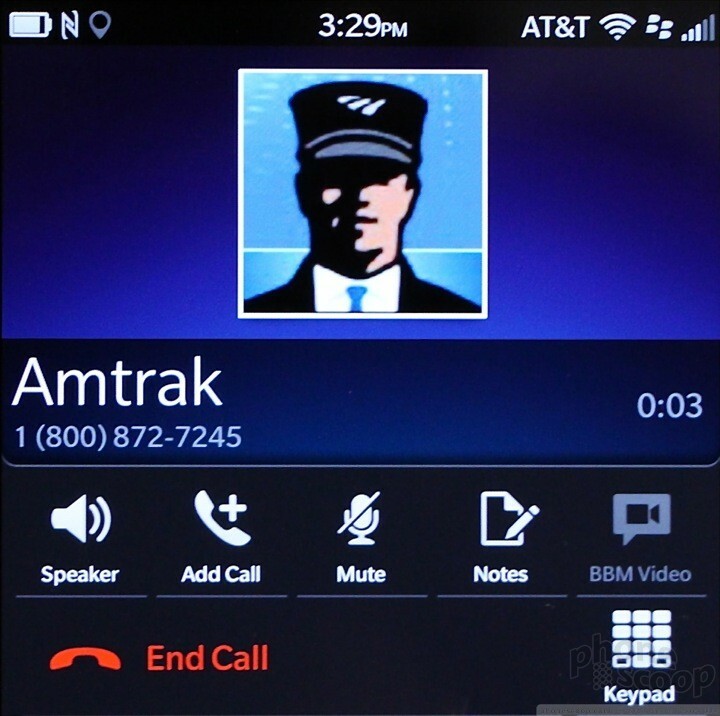 It includes many of the features you're used to, such as send to Bluetooth, speakerphone, and mute. 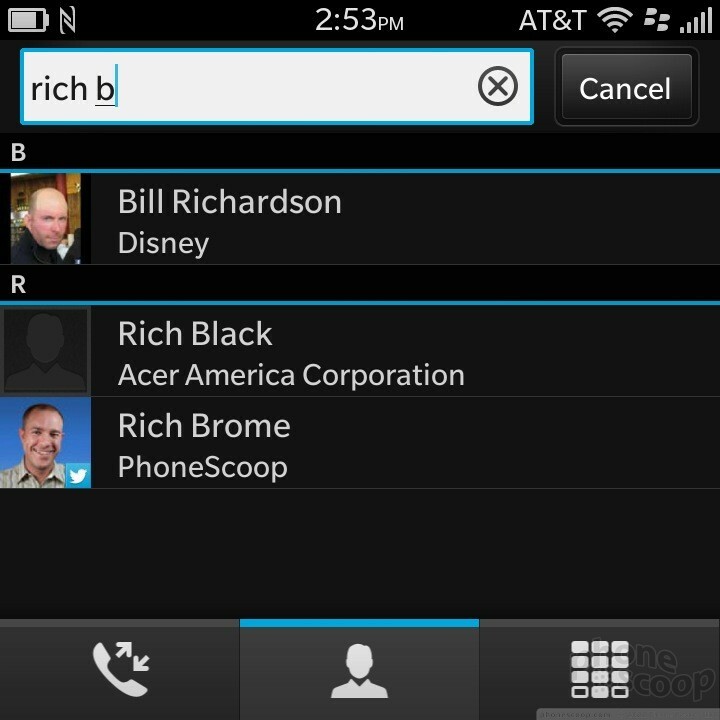 The contacts app is much more visually pleasing than the older BB7 app, and syncs with far more accounts. 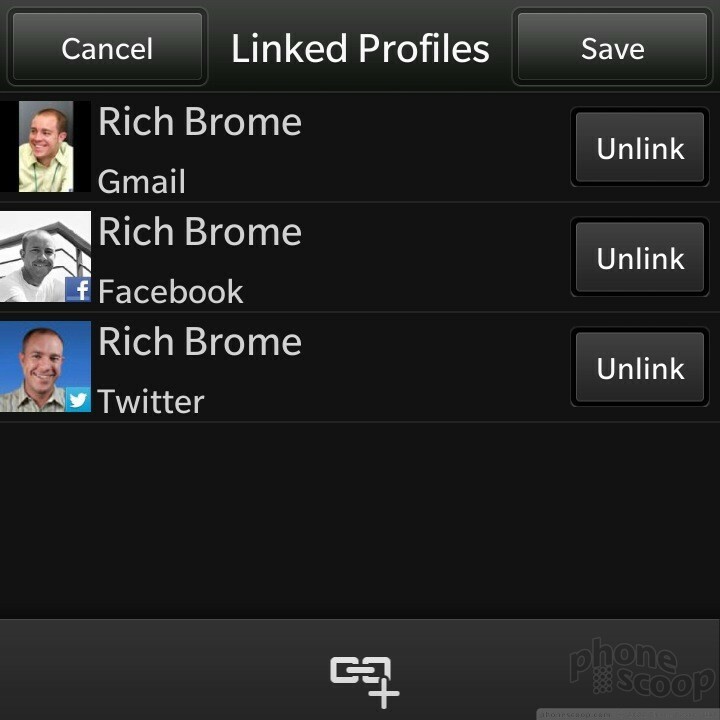 The contact app can pull in data from Twitter, Facebook, and LinkedIn, in addition to your IMAP or other email service. I like that the app offers a peek at your recent communiques with various contacts and makes it easy to call or message them. 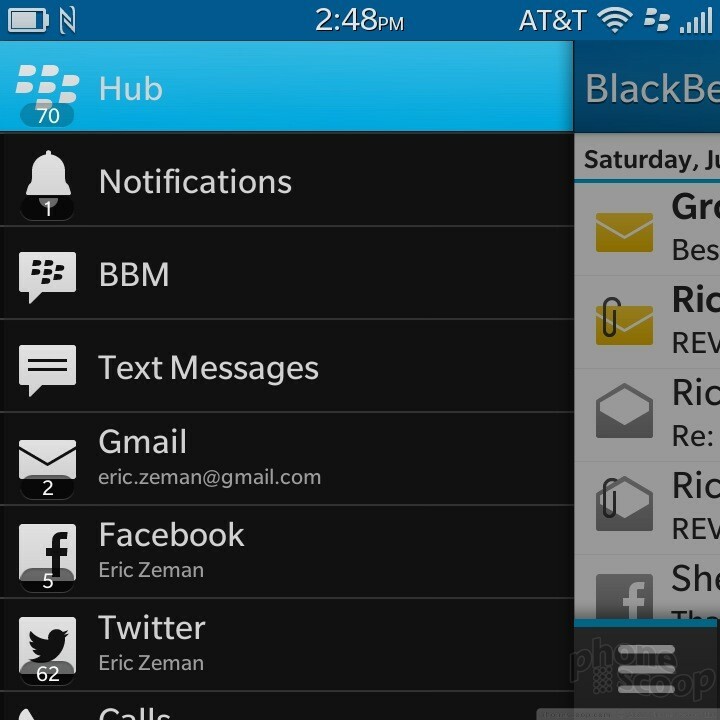 BB10 includes the all-new BlackBerry Hub. It's a universal inbox for absolutely all of your communication needs. 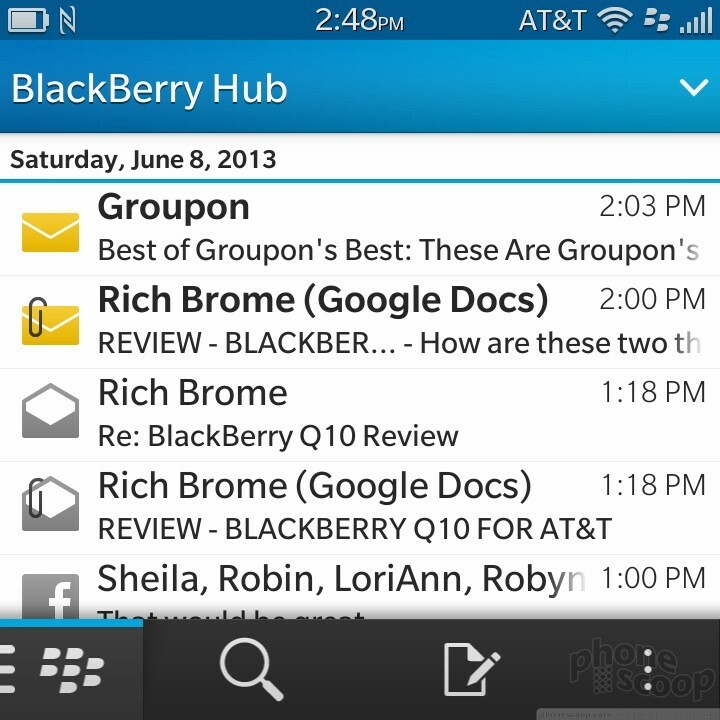 The Hub handles email, SMS, MMS, IM, BBM, LinkedIn, Twitter, and Facebook. It is your one-stop shop for all messaging tasks, be they long-winded or limited to 140 characters. You can view all of your messages jumbled together in one large heap, or separate them into their respective inboxes. All of the messaging inboxes offer threaded views, attachments, and the same basic set of tools for composing and controlling them. The Hub itself can be customized in that you can turn some inboxes on or off at will, as well as arrange how they appear in the Hub. 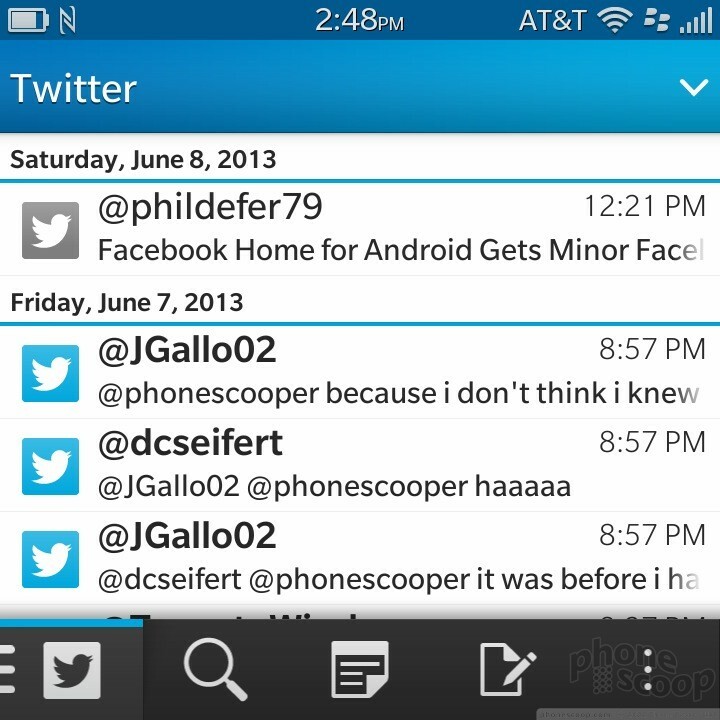 You can also get a “peek” of what's in the Hub from any app by using a specific "upside-down L" swiping gesture. It's a neat way to be able to see what's going on in your inbox without necessarily leaving the task at hand. The gesture can be a bit tricky, though. Social networking is built into the sharing features of the OS as long as you sign into your various social accounts during the set-up process. Of course, separate apps are available for Facebook, Twitter, and so on. They function much in the same way as on Android and iOS devices. 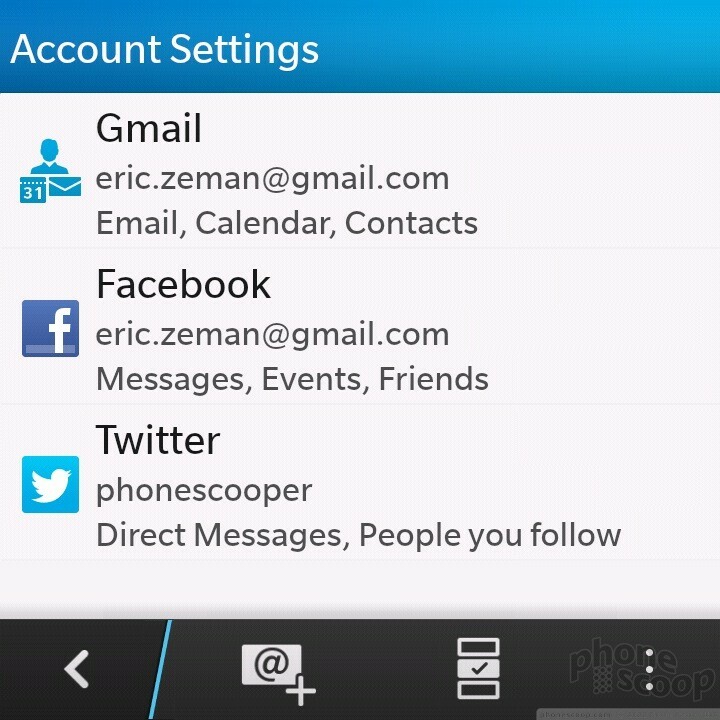 BBM lets you share photos, videos, a live view of your own screen, as well as conduct two-way voice and video calls. BBM will soon be available to Android devices and the iPhone, making it an even more appealing messaging platform for BlackBerry users.